The 2019 RZR 570 starts at 10,299 and is available in White Lightning, and in the EPS edition Titanium Metallic is also available. 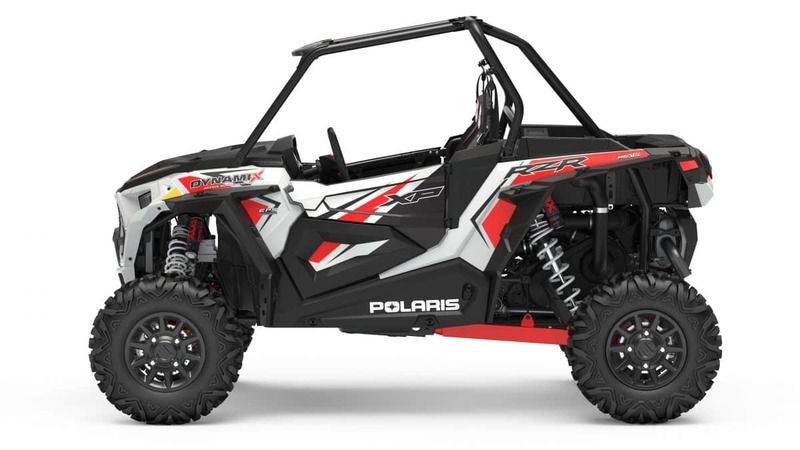 A capable 50″ machine with 9.5 inches of travel in the rear and 9 in the front. 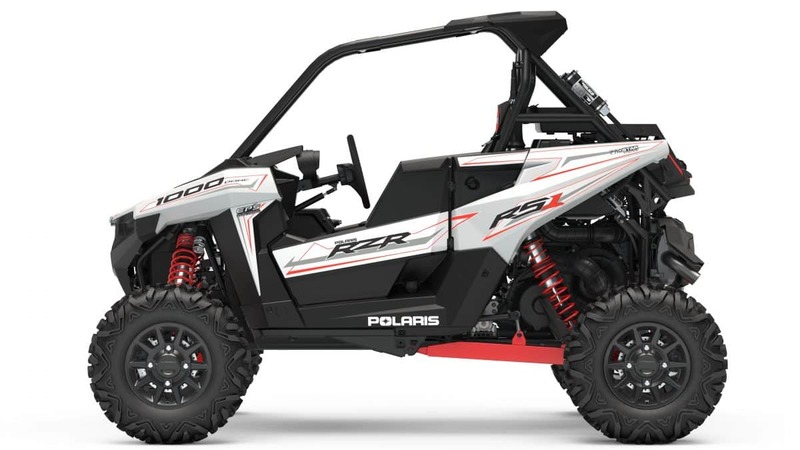 The RZR 900 starts at 12,999 and is available in indy red, black pearl, and matte sagebrush green for the EPS edition. The non-EPS is only available in white lightning. 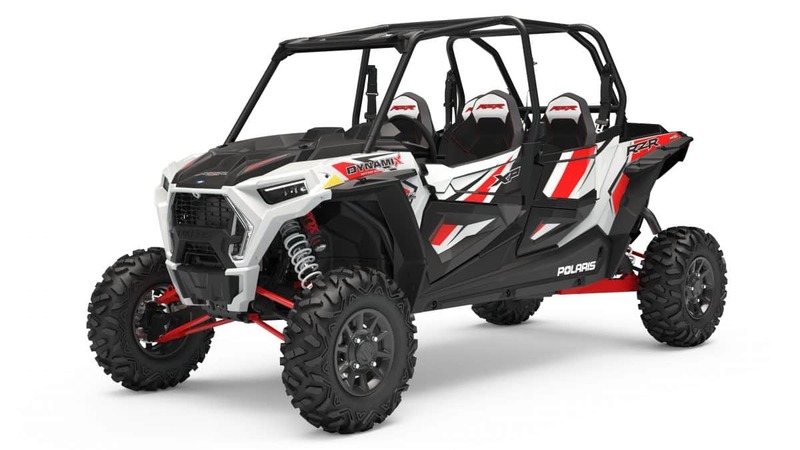 The 75hp Prostar engine offers an excellent power to weight ratio, making the RZR 900 the fastest accelerating 50″ RZR ever. 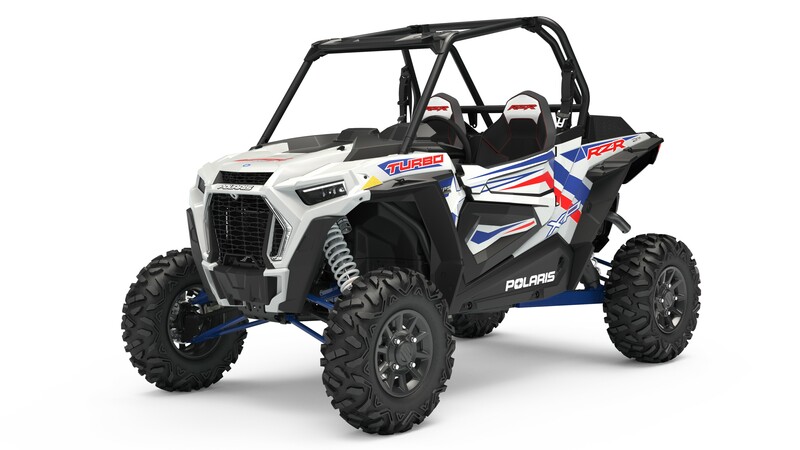 Starting at 14,699 the RZR S is not to be confused with the Turbo S. This trail ready car has 60″ dual A-arm suspension and a newly featured engine braking system. Look for it in White Lightning, and EPS Ghost Grey and Black Pearl. 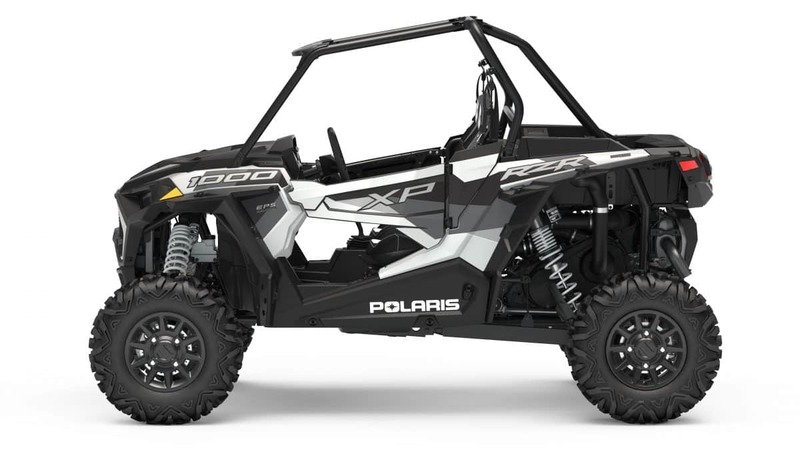 For 17,999 you get 100hp in a 60″ machine with electronic power steering. At 14,299 the RS1 packs a punch for its value. 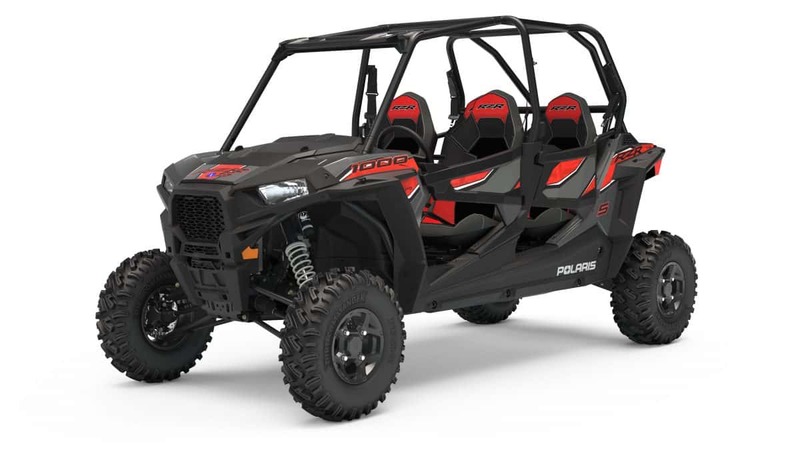 With better handling and power than its predecessor the ACE 900, this longer sturdier machine feels like a rally car. As a bonus they’ve taken away the annoyance of screaming passengers. 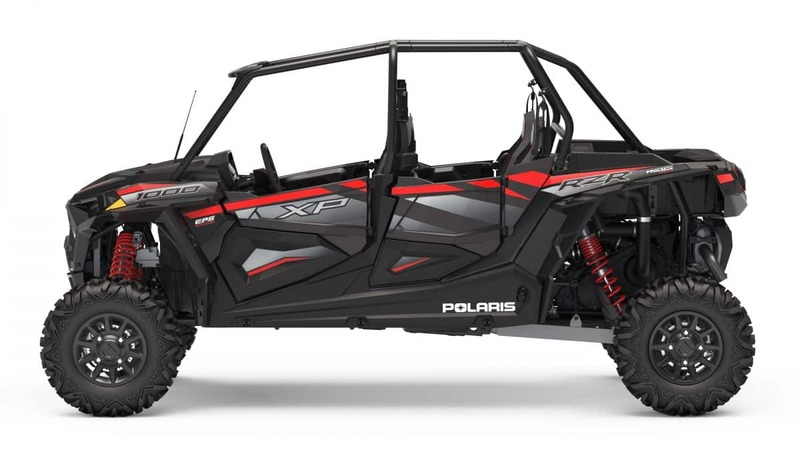 Tried and true, the XP1000 starts at 17,999 and has the most convenient and comfortable interior of any RZR. The XP1000 comes in black pearl, white lightning and the all new Sky Blue color for 2019. 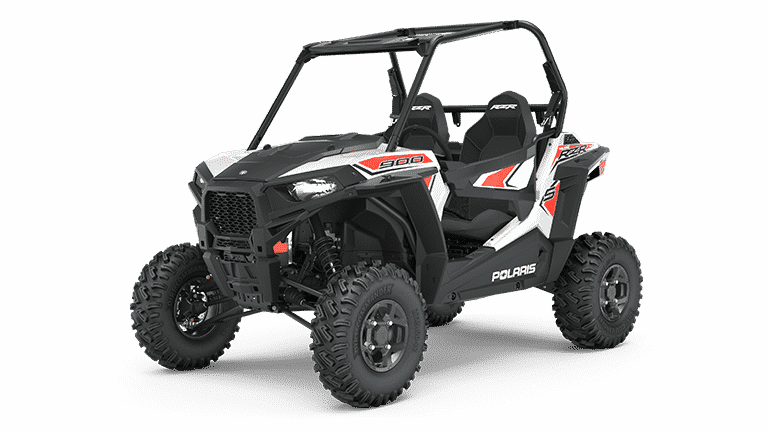 With a starting price of 19,999 the Ride Command is just as comfortable and capable as the XP1000 but more tech. 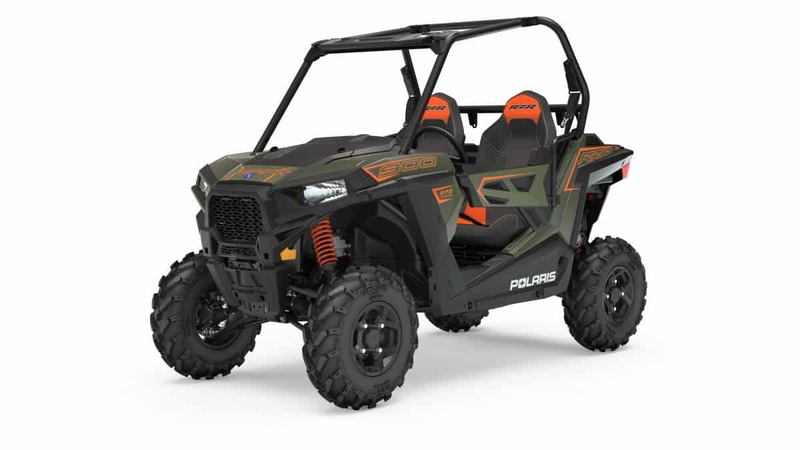 The Ride Command features Go-Pro control, built in GPS, Bluetooth connectivity and so much more. 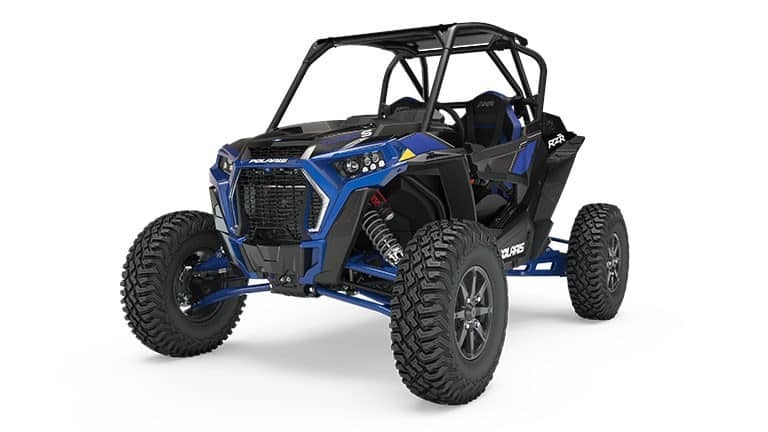 At a starting price of 22,999 the Dynamix is the the first active suspension system engineered to offer you more comfort and control than any other side by side. 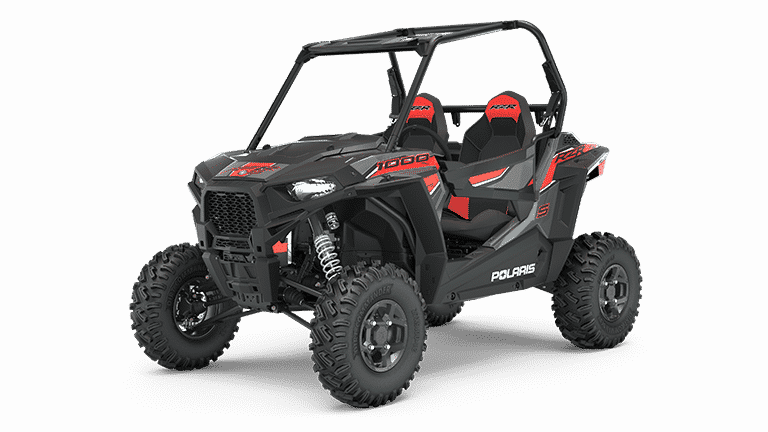 Starting at 19,999 the RZR Turbo offers 168 horsepower with unmatched agility and plenty of torque for all terrains. Plus the high capacity cooling keeps riding longer. Available in Titanium Metallic and Matte White Pearl. 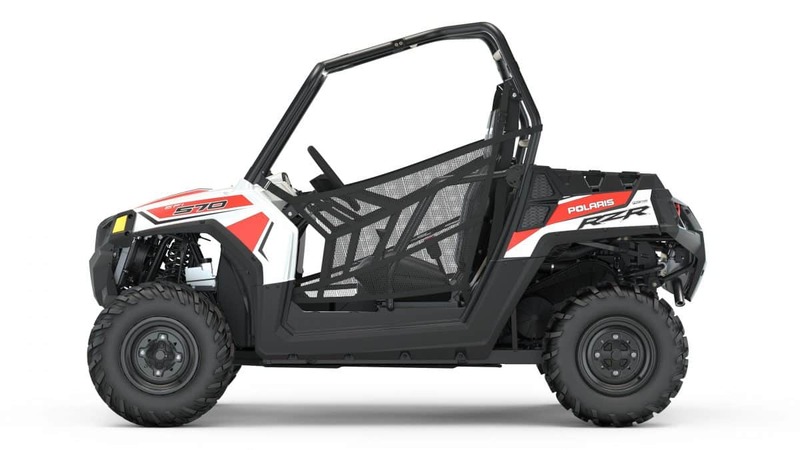 The Turbo LE is basically the response to the missing “Fox Edition” in the 2019 lineup. For 20,999 it features Fox internal bypass shocks, and all the greatness of a turbo in a patriotic graphics package. Built to be “the nastiest RZR ever” the 27,499 price tag definitely has substance behind it. 72″ wide, 168hp, 32″ stock tires, and leading active suspension travel all puts in work while you ride. Available in racy Indy Red an Polaris Blue. The 18,999 RZR S4 1000 boasts Fox Shocks and 100 hp. This Machine is trail ready! With 55% lower gearing in low, and slow speed throttle mapping, the Trails & Rocks edition makes the tough stuff easy. Not to mention stronger, beefier parts that make the 22,999 price tag untouchable. This ultimate mud machine machine with High Lifter upgrades starts at 21,699 and is also available in a four seat model for 24,899.